The Mother's Day Classic in Wonthaggi is celebrating their 6th year and is inviting you to be involved in something nation-wide. 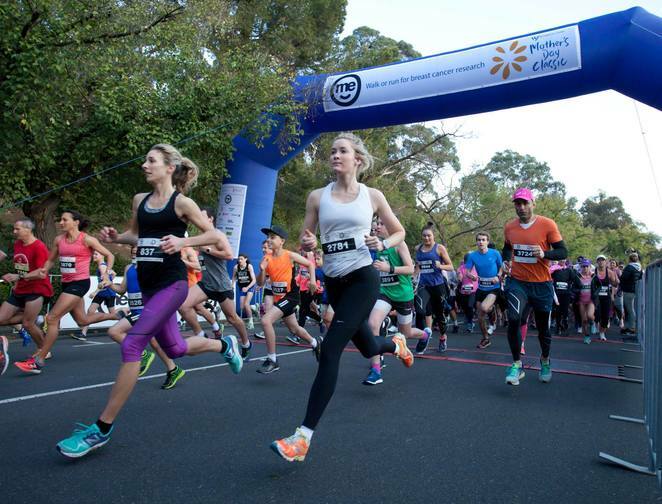 A 5km walk and run at Apex Park, Murray Street, Wonthaggi is the place to be on Sunday 13 May 2018. The course runs from Apex Park down rail trail to wetlands and return through Guide Park. Register HERE. What a great way to start Mother's Day, in the knowledge that you did a great thing to support a worthy cause. Bring family and friends, but NOT the dog, and get out there, have fun and support those around you while raising money and awareness for breast cancer. Save time and register online, plus it's $5 cheaper. If you are registering on the day, at Mitchell House from 8am, only cash and cheque will be accepted. Online entries close Wed 9 May 2018 (EST). Prices range from $10 to $50, so check here for details, then just turn up on the day and walk or run. On the day regos need to be there at 8am. The official welcome/minute silence is scheduled for 9.25am with the 5km run starting at 9.30am and the 5km walk at 9.35am. Make it fun and come along dressed up! Plus you could win a prize for Best Dressed and Largest Team. Parking will be available around the main street and Fincher street reserve carpark. Check the website for all other details in regard to the event and fundraising, and how you can be supportive in spirit if you can't make the event. If you don't happen to live in Wonthaggi, you can check for other major and regional events online.